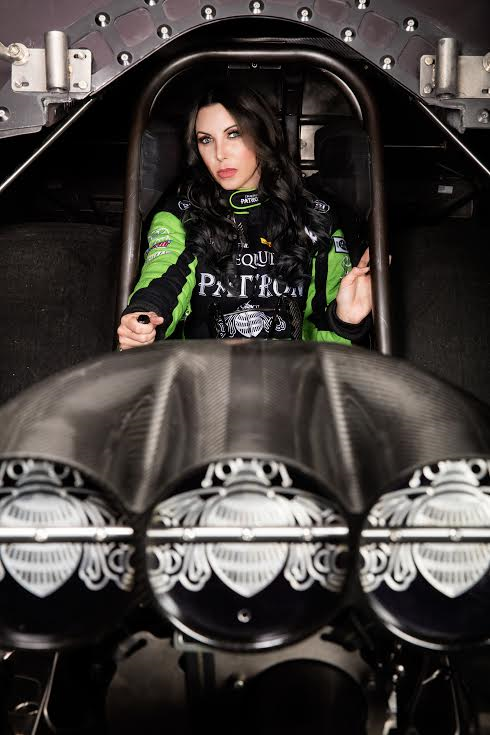 NHRA Drag Racing fans can take part in a special meet and greet opportunity with Funny Car driver Alexis Dejoria’s appearance at Gino’s East. The top ten-ranked Tequila Patrón Toyota Camry Funny Car driver will join Jordan Himmel in the kitchen of the renowned Gino’s East establishment tonight to help make the world-famous Gino’s traditional Chicago-style deep dish pizzas. DeJoria will then jump behind the bar to teach Himmel how to make her version of a perfect Patrón margarita, and sign autographs for fans in attendance. The Alexis DeJoria appearance at Gino’s East will kick off at 5:00 PM in the Chicago establishment, and serve as the unofficial opening activities for her weekend at the K&N Filters Route 66 NHRA Nationals in Joliet, IL. The fan-favorite event at Route 66 Raceway, located at Chicagoland Speedway south of Chicago, marks the official start to the second half of the 24-race 2016 NHRA Mello Yello Drag Racing Series season.